Home / CELEBRITY NEWS / DJ Khaled, Matt Lanter Lead the Men of "Pitch Perfect 3"
DJ Khaled, Matt Lanter Lead the Men of "Pitch Perfect 3"
There is an embarrassment of riches when it comes to new talent in Universal Pictures' Pitch Perfect 3, the next chapter in the beloved series opening in Philippine cinemas on Monday, January 8. One particularly special newcomer to the group is countless award-winning actor John Lithgow (Netflix's The Crown), who portrays Fergus, Fat Amy's very sketchy father. 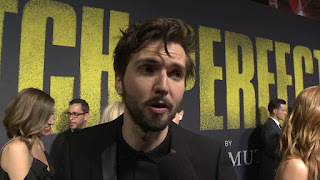 Joining him are popular record producer and radio personality DJ Khaled and actors Matt Lanter and Guy Burnet. In Pitch Perfect 3, after the highs of winning the World Championships, the Bellas find themselves split apart and discovering there aren’t job prospects for making music with your mouth. But when they get the chance to reunite for an overseas USO tour, this group of awesome nerds will come together to make some music, and some questionable decisions, one last time. 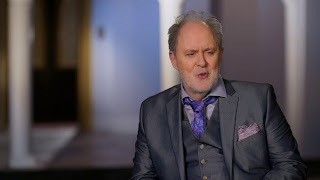 Producer Max Handelman gives a bit of backstory of John Lithgow's character: "Fat Amy (Rebel Wilson) ran away from her gangster father in Australia seven years ago, and she turned up at Barden University to escape him. He's a bad guy, so she tried to reinvent herself as Fat Amy, as opposed to her original name of Patricia. Now that she's left the States, he's tracked her down, and is trying to reconcile with her. Originally, seemingly in a positive way, but then his ulterior motives get revealed." Meanwhile, DJ Khaled headlines the USO tour and represents an unexpected pop-culture-driven presence in a Pitch Perfect movie, which is something the team always strives for. It was important for the producers and director Trish Sie to bring in artists who are both relevant to the audience, as well as a bit unexpected. 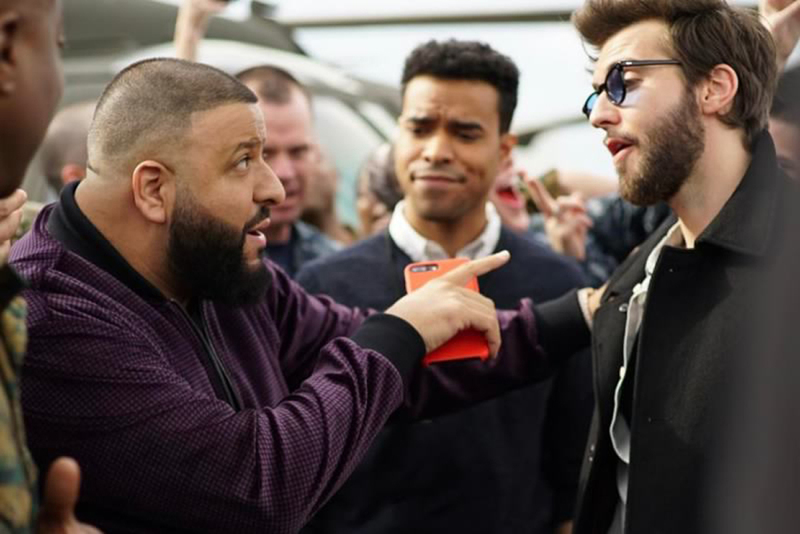 "DJ Khaled is enormous fun and just fresh and different-someone that is a little out of the Pitch Perfect box," commends producer Paul Brooks. The director appreciated that the global superstar is game for anything. "He commits completely to whatever he does," says Sie. "He leaps into the scene, and he literally says, 'Let's go. I'm ready.' He'll do anything you ask him to, big and huge. He takes direction well and improvises like a monster fiend. That, and he was fun." 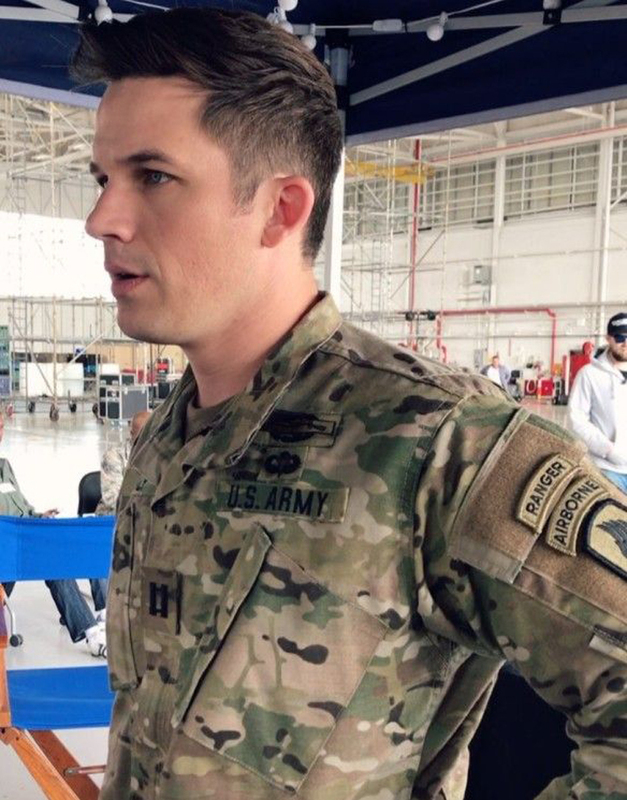 "When we get invited on this USO Tour, we think that we're going to sing for fun, and quickly we realize that it's a competition," shares castmember Chrissy Fit. "At the end of the tour, DJ Khaled is going to choose a group to perform live on national TV. Of course, once the Bellas hear 'competition,' we are excited and ready to compete for the spot." "I've believe in taking these opportunities to the next level and what a great opportunity to be on this amazing movie, part three," says Khaled. "My character is here looking for the next biggest act but at the same time, I'm also a performing artist. No words can explain it. You have to see it because the energy is just amazing, special moments." 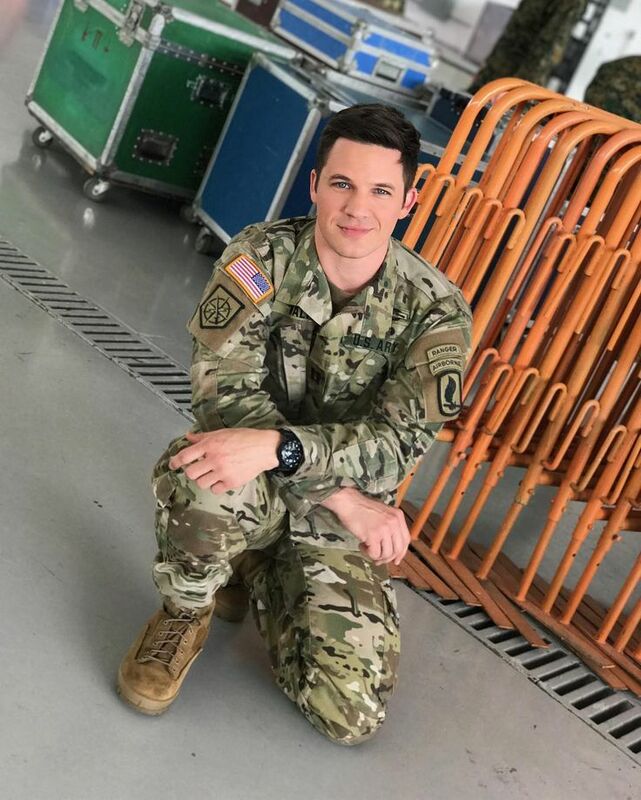 Other newcomers to the group include Chicago, played by Matt Lanter (TV's Timeless, Star-Crossed). Longtime friends off screen, Brittany Snow and Lanter were excited to work together on screen for the first time. "Chloe, in this movie meets a special someone. 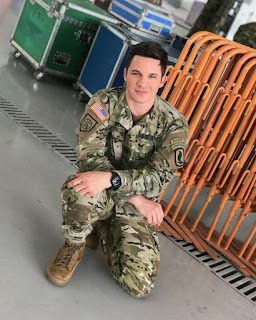 His name is Chicago, and he is played by the amazing Matt Lanter, who I just love," says Snow. "They have this very whirlwind flirtation during the USO tour." 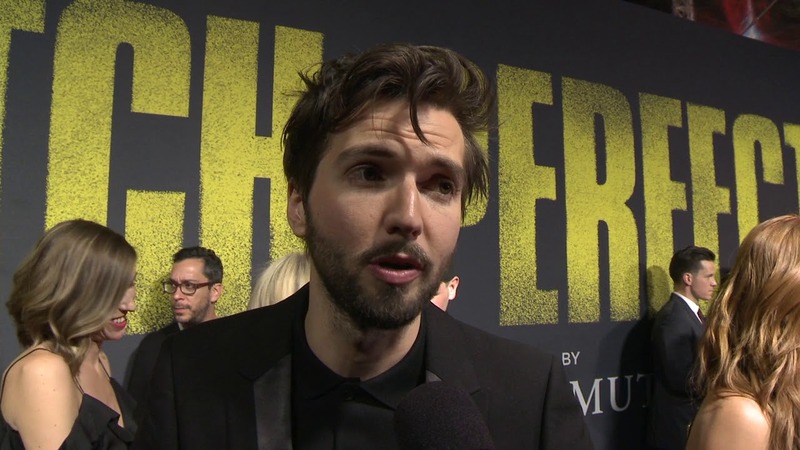 Finally, Guy Burnet plays Beca's flirtation: Theo the music executive who is a key part of DJ Khaled's crew. He has this ability to pick up on people with musical gifts. During the opening riff-off, he manages, within the harmonies, truly to hear Beca.